It’s full of great features, but it doesn't seem to be UL listed and we were unable to determine other key specifications. 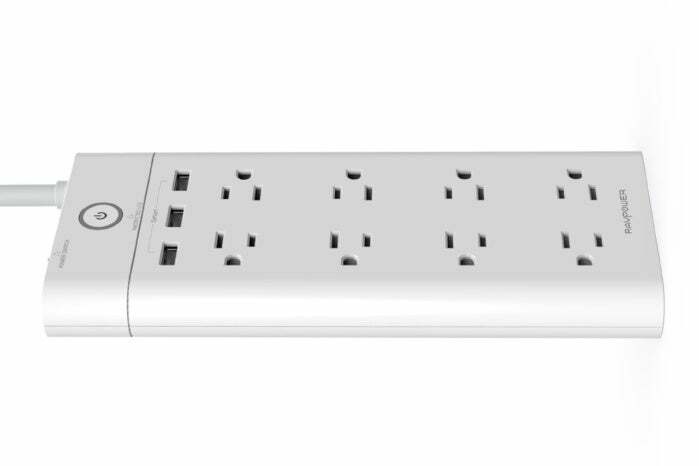 We picked RAVPower’s 8-outlet, 3 USB port surge protector because we liked the features it offered and we’ve had good experiences with some of the company’s other products. Despite its high build quality, good outlet layout, and three fast-charging USB ports, a lack of detailed specifications prevents us from recommending it or giving it a good rating. RAVPower didn’t respond to several requests for information, so we’re unable to determine several technical elements. The product appears to lack a UL Listing, a baseline testing characteristic that should be present in every electrical and electronic device. It doesn’t have a UL Listing in its molding or as an add-on label, and we were unable to find it in the UL database. After that non-starter, we were also unable to figure out the rating in joules for the surge protector, a useful basis of comparison among similar units, nor whether power stops flowing or continues (or in what fashion) after the internal protection is exhausted. There’s an LED to mark protection status (helpfully labeled “Protected LED” with an arrow pointing to it), which points to power continuing to flow. There’s no equipment damage warranty, for whatever they might be worth, either. 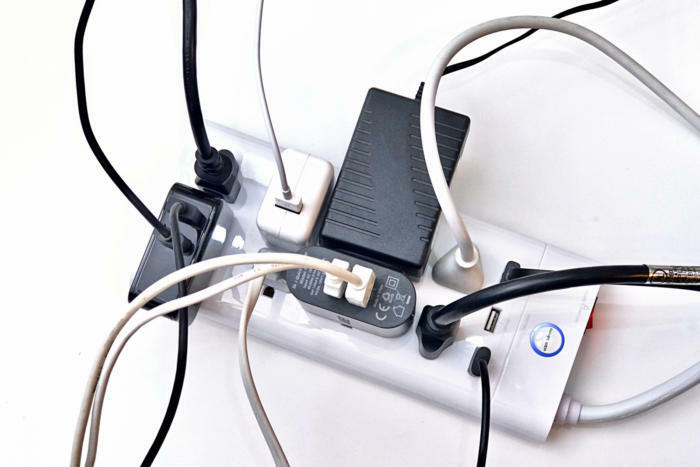 Too little information, not to mention the absence of a UL listing, prevents us from recommending this surge protector. It’s unfortunate, because the layout on this model is quite good. I was able to plug in a mix of four power bricks and adapters and four 2-prong and 3-prong plugs with just a bit of crowding. It features three USB ports, each of which can supply up to 2.1 amps (A) with a total maximum of 4.1A). That could let you bypass using a dedicated AC adapter, freeing up more outlets. Without additional information and a UL Listing, we can’t recommend this model for anyone. We’ll update this review if RAVPower responds to our queries and provides additional information.